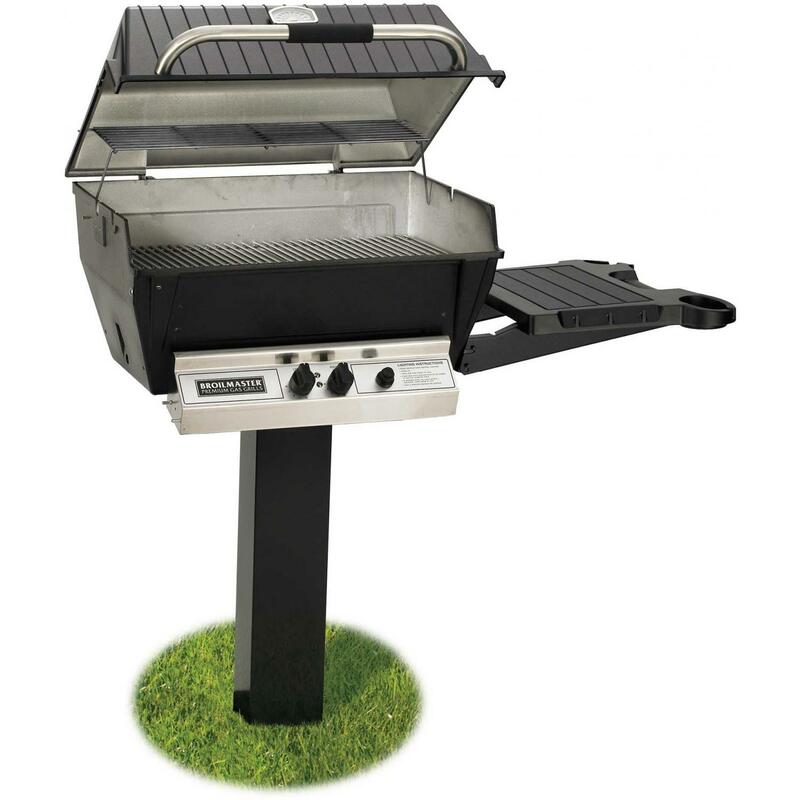 The Fire Magic Deluxe Gourmet Gas Grill features 368 square inches of total cooking area, stainless steel cooking grids and warming rack, a stainless steel exterior, and push button solid state electronic ignition system for easy lighting. 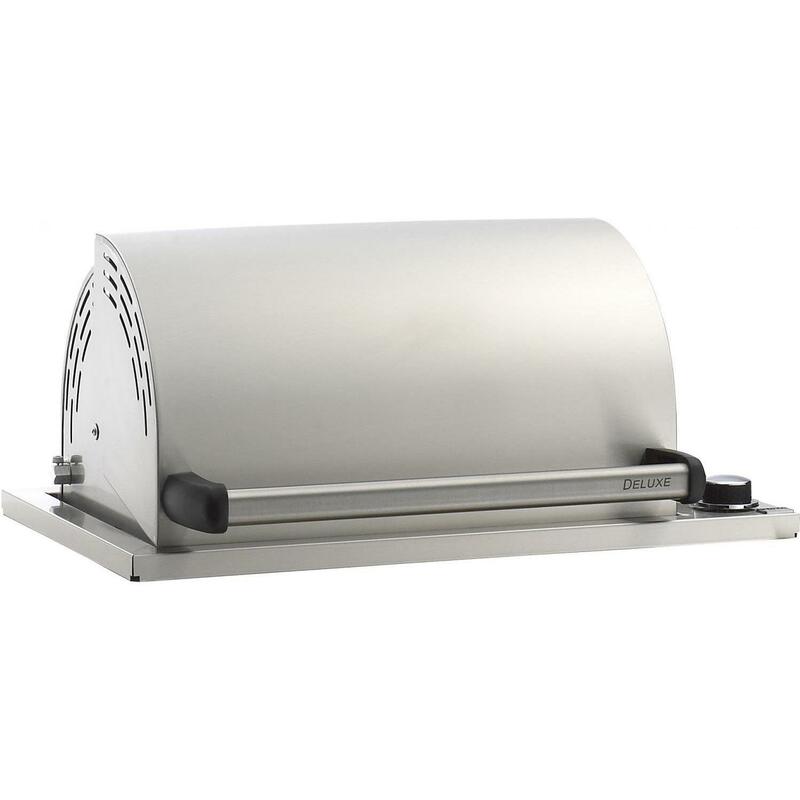 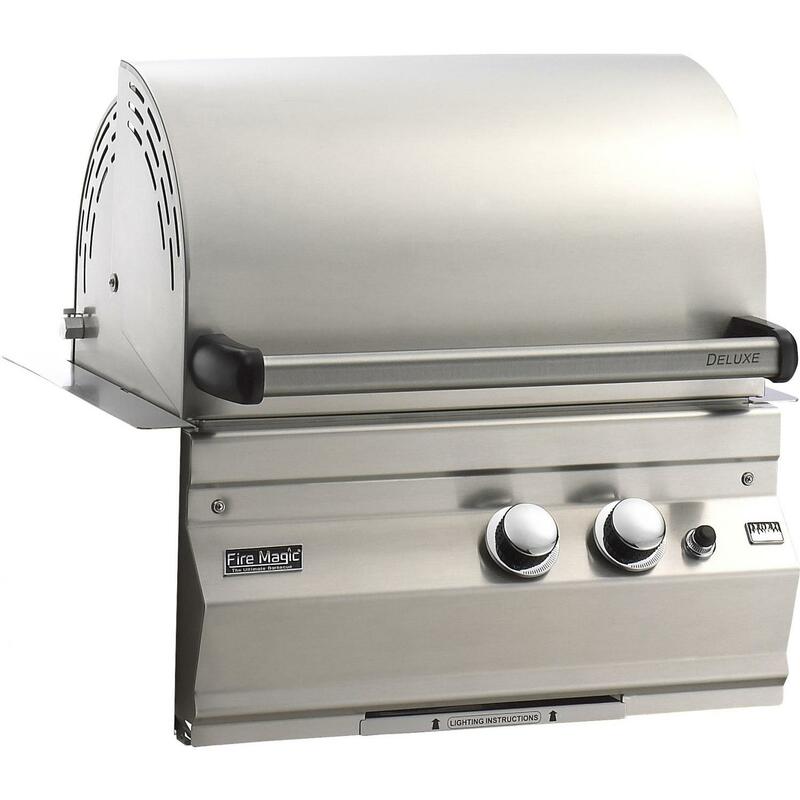 The two cast stainless steel burners provide 42,000 BTUs of total cooking power on the grilling surface and the included drip tray makes clean up a breeze. 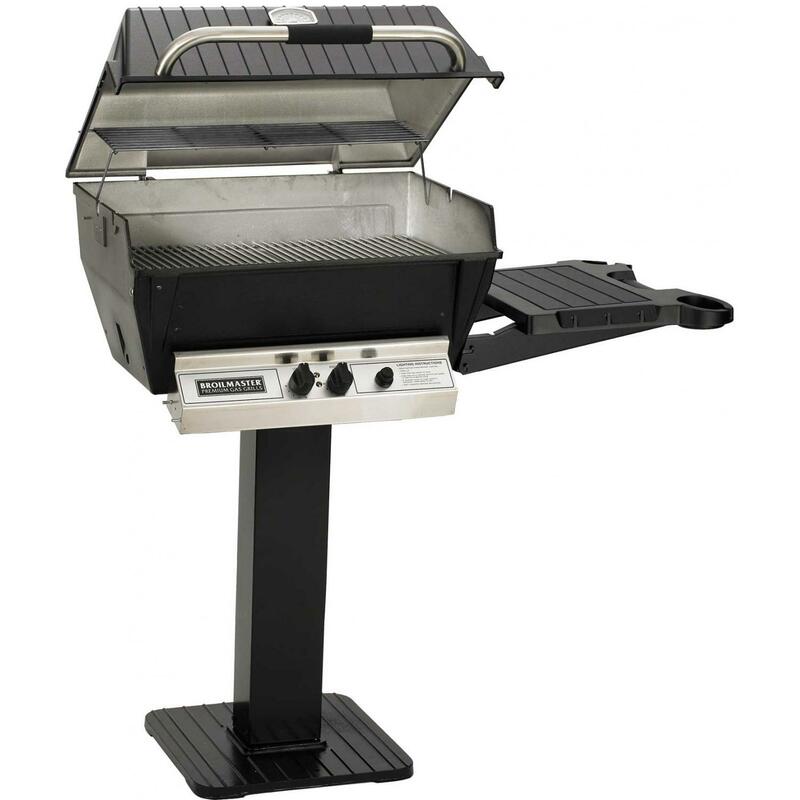 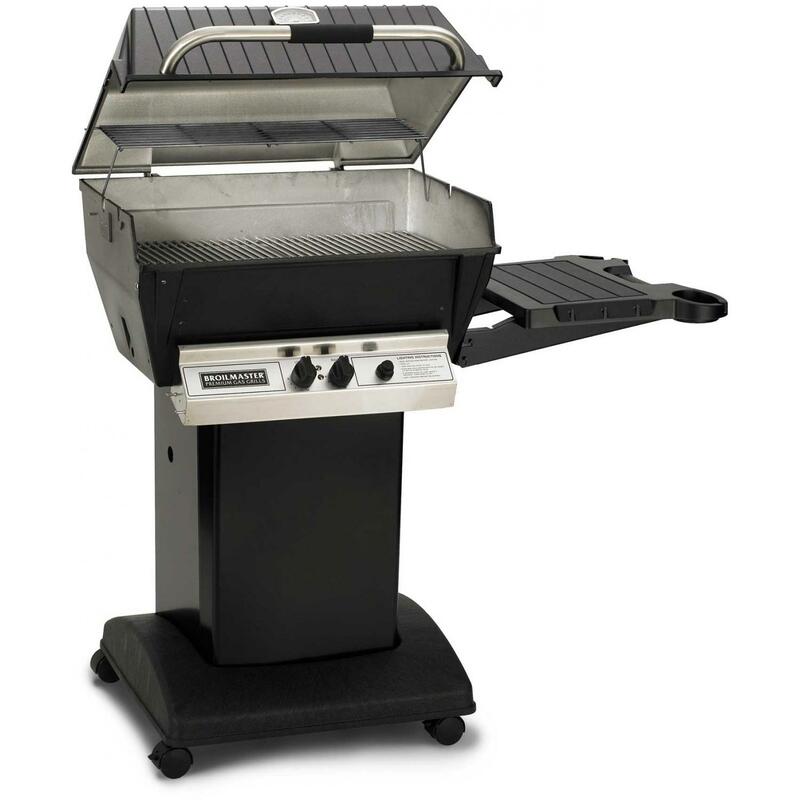 Approximate Overall Dimensions (in inches): 31 3/4 W x 17 D x 24 1/2 H.
The Fire Magic Deluxe Gourmet Gas Grill features 368 square inches of total cooking area, stainless steel cooking grids and warming rack, a stainless steel exterior, and push button solid state electronic ignition system for easy lighting. 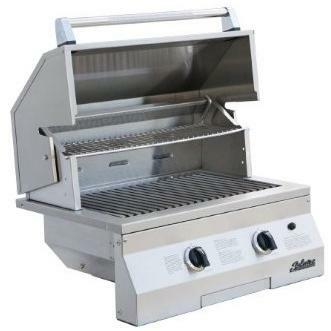 The one main infrared burner provides 42,000 BTUs of total cooking power on the grilling surface and the included drip tray makes clean up a breeze.